National Symphony, 1969-71, a scholar-in-residence at Aspen Institute, Colorado, 1973-74, and a member of the Board of Directors of Kennedy Center Productions, 1974-75. 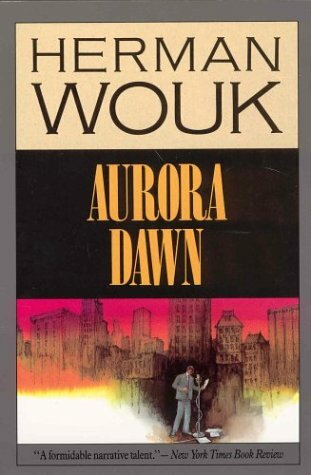 Wouk's debut novel was "Aurora Dawn" (1947) which was a satire about the New York advertising business and was followed by "City Boy" (1948) a partly autobiographical story of a Bronx boy. "The Caine Mutiny," the story of the neurotic and paranoid Captain Queeg aboard the USS Caine, was awarded the 1952 Pulitzer Prize for fiction. "Marjorie Morningstar" (1955) was a story of a New York Jewish girl who has great ambitions but ends up a housewife. "This Is My God" (1959) introduces the reader to Jewish orthodoxy. "The Winds of War" (1971) tells the story of the Henry family members and the events that lead up to the Japanese attack on Pearl Harbor. "War and Remembrance" (1978) concludes the story and tries to explain the causes and implications of war. Wouk's novels are admired for their historical accuracy, satire and humor. He has received several awards which include the Pulitzer Prize (1952), Columbia University Medal of Excellence (1952), Hamilton Medal (1980), America Academy of Achievement Golden Plate Award (1986),Washingtonian Award (1986), U.S. Navy Memorial Foundation Award (1987), and the Kazetnik Award (1990). Wouk has also received many honorary degrees from American and Israeli universities. The first Library of Congress Lifetime Achievement Award for the Writing of Fiction was awarded Wouk in 2008.